In the past, we all had a local stand line phones, most of the landline phones rung using a very specific ring sound which was almost identical on all phones around the world. This ringing tone used was following some telephone standards. The result was everyone could distinguish a ringing phone in a room or closed space and tell for sure, this sound is generated by a phone. Nowdays with the boom of cellular phone ringtones, there is almost noone who uses a standard old-fashioned telephone ringtone as a ring melody. The consequence of this is in our minds we start loosing the boundary between whether communicating on the phone or communicating without it. In younger people this boundary between phone line and a physical communication is more evident than in adults (as youngsters has grown in society where mobile was used everywhere). The implication of this is more and more people are starting to perceive mobile communication as so natural as the person to person communication. Spending big part of the day talking over the phone mostly senseless things, not being consciously aware that this is done due to a heavy phone addiction and repeating behaviour trait stored sub-consciously. Today everyone chooses a custom mobile phone ringtone melody (popular or impopular) song and sets it up to be a standard incoming call signal. As you can guess there are consequences on the mind, as the ringtone set is heard ten times or more a day during each and every phone call. The result is just like with alcoholics or drug addicts, the more you take from a certain "good" the more attached you become to it. Hence the more we listen to a certain song chunk daily on incoming calls, the sub-conscious becomes dependent on hearing this sound at least a number of times daily. If a day passes without no-one calling us and we don't hear the ringtone indicating a call the sub-conscious stored dependency starts popping up and we could start feeling lonely and we feel like calling someone (and we often do). Obviously this is dependency and even if someone might argue me this is a severe addiction which as every other addiction could be very dangerous and hard to fight. 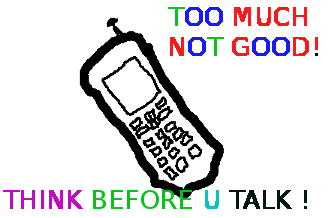 As I prior said due to the fact that the phone use dependency is built in our minds starting with the phone ring melody, we can reduce this dependency by switching off the phone ringtone completely or at least changing it to a unique beep which is not likely to be heard or seen somewhere in your surrounding environment. All new mobiles sold on the market are configured to have buzzling sounds on events and various beeps on keypad lock / unlock and menu navigation. This sounds are there mostly to make you more alert and concentrated on using your mobile and often as a consequence whether one uses his mobile his awareness is comletely taken by the phone screen (you're totally "absorbed" by the phone use). Besides designed to alert you the Managers and CEO's who decided to have a heavy beep sounds on mobiles made it having probably something else on mind? The beeps on keypad navigation makes the user emotionally and sub-consciously attached to the Cell Phone. The idea here is like in popular music streamed on radios and TVs and mostly everywhere …. The more you listen to a song, the higher the mind trait it leaves in you, so later when one hears a music pattern or a whole song, which he / she listened already thousands of times this brings back "good" old memories. It is very simple actually our minds are constructed in a way that the mor certain "information" is heard / saw / smell the bigger the mind influence this leaves on us. Back to the mobile sounds, the more you use the mobile phone with turned on sounds, the more addicted and mind stucked the beep and melodies during use of the cell phone becomes in the mind. For example many people take a look at their mobile automatically (without being consciously aware) and do the activity of (unlock) and (lock) the phone screen not knowing they do it automatic. More or less we all do such an auto-mated learned behaviour because of the subconscious dependency that is built in our minds. Whether we lock and unlock the mobile phone almost robotically, we do it because our sub-conscious mind plays a trick on us and "force" us to do a previous learned activity (association in our mind with the unlock / lock beep sound). Any modern mobile is quite advanced in functionality and there is more than one way to initiate a phone call. E.g. the mobile has a shortcut buttons assigned to do quick phone calls, quickly evoke SMS menu etc. Learn them and occasionally use the shortcut buttons instead of the menu navigation. Our minds like changing patterns and doing things different. This will take time but the fun worths it. Plus the most valuable thing in using the mobile in different ways each time is there is no specific inflicting pattern associated in your mind and hence the depepdency set in your sub-conscious mind on phone use is lesser. Actually there are too many various "hacks" one could come up with on how to use mobile as differently as possible. It is up to your imagination. Though using the mobile "each-time-different" can be sometimes more time-consuming it surely makes your phone use amusing. We all live in an age, where cell-phone communication has become a standard part of our daily lives. As with everything new adopted in basic human life. GSM tool inclusion in our life had a severe impact on both individuals and in summary to whole society groups and nations. The benefits out of having an instant “channel” for communication to anyone else in the world are indoubtfully numerous. However as present tosicety is learned to mostly thing in one direction, most people didn’t have a clear understanding on the negative impact of this little communicators on our mind body and soul. Whenever we talk over the phone especially when picking up incoming calls or initiating out-going ones, the GSM device has to connect to the closest network cell “dial up” and wait for initialization of remote or local connection. The levels of radiation waves during the two mobiles connects up is higher. Therefore if one moves the phone near his ear listening for the status of call the amount of radiation that enters our brains is slightly higher. The extra-radiation whether mobiles are connecting is also few times more whether our phone is ringning, hence it is unhealthy to put the phone near our ear before we press the Answer Call button. Knowing about the increased radiation on connection initialization thanksfully one can protect himself by simply not putting the mobile headset near ear on call initialization. Though this “problem” can be partially solved, next comes the health brain damage (tumours) which according to some researches are higher among people who do frequentlong phone call conversations. In long phone calls the brain is exposed for a longer time to the flowing waves making the peer to peer call possible. According to some medical researches, a long and frequent phone calls could be a reason not only for brain cancers but also other misfunctions or damages in normal brain cells functioning. 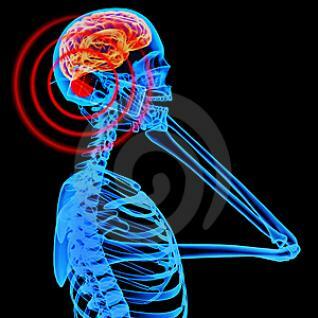 Another health issue which the daily phone use and the constant exposure to mobile network cells radio frequency radiation affects generally our nervous system. Unexpected phone calls early in morning or late at night are a cause for increased bodily stress and even the fear sometimes for an incoming phone call are a cause for many types of neurological disorders diagnosed by psychiatrists. Even when we sleep at night the mobile phone periodically connects to the nearest mobile cell generating some almost undetectable “waves contamination”. This constant waves air flow caused by the mobile network cells positioned all around cities is not usual thing for our bodies. This also has some influence on our nervous system as the nervous sysm tends to be a bit more alert because of the waves constantly passing the body. The natural reaction of our bodies nerves is to try to balance itself. As nervous system of different people is not equal some people’s nervous system is more prone to having difficulties to balance the disbalance created by the increased number of mobile air waves. The result of this to many people is in increased sleeplessnes and hardships to get asleep (according to research taken place in American Academy of Sleep Medicine.). There is lately observed a huge shift from a face to face communication to peer to peer (p2p) on the phone. The cellphones breeds a culture of socially group detached people (the communication over phone is rarely a conference) but rather consists of communication between two persons (peer to peer). The p2p communication is not only a primary mean of communication of people exposed to heavy phone use. p2p Communication is a primary communication in Skype, Google Talk and mostly all modern available communication medias and softwares. As more and more people spend nowdays more time on the mobile than in real communication, this makes them introverted and isolated and increases the inability to deal with real human f2f interaction. In other words continuous phone use re-trains us to communicate with others via the mobile. Besides that according to numerous researches about 40 to 50% of visual communication whether a phone call is used is lost (this also makes negotiation or expressing over phone harder and at least twice longer than in real communication). The influence of the decreased social abilities cause of the phone use has also an impact on ethical behaviour of people too. The increased lost of communication abilities makes even daily real communication vague and lacking accepted social norms and ethical values. Next to that comes the huge problem of over-simplification of communication. As the line communication over the phone loose half of the communication as well as sometimes there are quality of voice over the network interferences. People are doing their best to simplify the communication adopting short command like like phrases and talking in a slang. The use of mobile phone often has a short beep sounds, whether you work on the keyboard receive a phone call or look for some mobile functionality staring at the screen. We’re wearing the mobile everywhere with us so often we do check the mobile screen quite un-consciously (by addiction). Checking the mobile screen to see what time is it has become almost an instinct and an automated learned behaviour. The continous use of mobile phones makes many people mobile addicts. There are huge amount of people I’ve observed who speaks everyday for few hours (whether everytime they feel lonely they call someone in order not to feel lonely). The mobile phone addiction in youngsters is slighly higher than in adults. Probably the most mobile dependent addicts are kids who were given a mobile to use since there very early years. Anyways there are tons of adults nowdays who cannot even think to be able to live without mobile and even cannot understand: how can anyone think that life could be possible without a cell phone. This kind of thinking is a direct trait showing an addiction and dependency on the phone such people have.